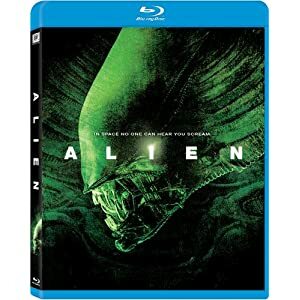 Alien is a classic science fiction film set in outer space, and is one of the best movies of all time. Starring Sigourney Weaver as Ripley, the movie takes place in the future. Planets in different solar systems are being colonized and mined for precious minerals. A crew of space miners responds to a distress signal from people on a small planetoid. When the crew arrives to help, they discover they are too late - the people are all dead. Ridley Scott described his vision for the film as 'truckers in space'. This film introduces an alien race that is truly ferocious and scary. It sets the story that leads to it sequel films, and all of them are excellent and very scary. This movie is a masterpiece from the mind of Ridley Scott. Highly recommended!